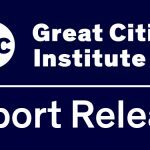 This report provides a more detailed view of youth jobless and jobless and out of school data throughout the state of Illinois than what has been analyzed to date and has findings that have implications for the direction of future policy aimed at improving employment conditions for young people. 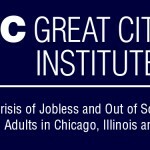 Lost: The Crisis of Jobless and Out of School Teens and Young Adults in Chicago, Illinois and the U.S. 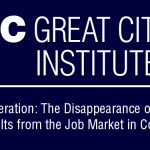 This report contains compilations and calculations of various employment data for males and females 16 to 24 years old by race/ethnicity from 2005 to 2014, comparing Chicago, Illinois, the U.S. and in some instances, adding Los Angeles and New York. A high proportion of women who receive welfare are abused by their intimate partners. With cities, the story always seems to be dramatic--either they are dying, becoming irrelevant, going bankrupt; or they are being reborn, cities are on the rise, the return of the downtown.